Piramal Realty (PRL), the real estate development arm of Piramal Group, today announced the launch of Piramal Mahalaxmi, its flagship project in South Mumbai. The development takes on the name of the locality, Mahalaxmi, which is one of Mumbai's most desirable and sought-after addresses. 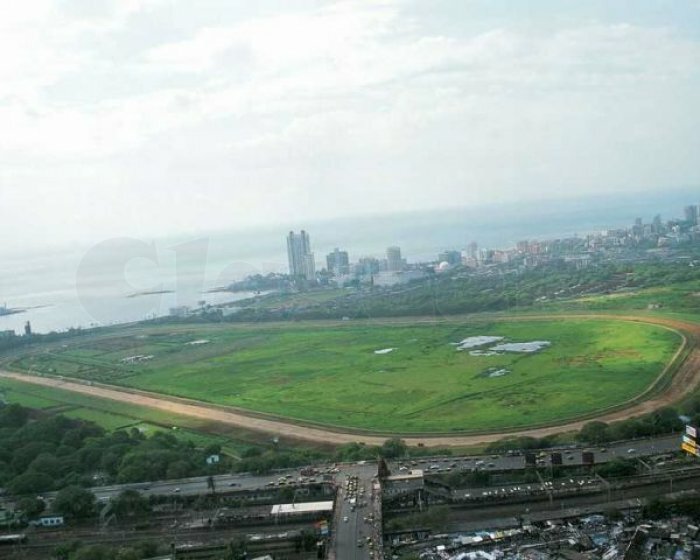 The quintessential offering of this project is the coveted Lifetime Views of the 225 acre Mahalaxmi Racecourse, uninterrupted views of the Arabian Sea on the horizon, Willingdon Golf Course and the expansive Mumbai Harbour. With over 2 million square feet of development, this project is set to be one of the largest premium residential developments in South Mumbai. Piramal Realty will invest INR 2600 crores in this marquee development. "Piramal Mahalaxmi is the perfect fusion of rich culture and a cosmopolitan heart. Through this development, we intend to continue setting new benchmarks in the real estate industry. Much akin to world class metropolitan cities, with the likes of New York's Manhattan, London, or Hong Kong, Piramal Mahalaxmi offers units that are designed based on market demand. Offering Lifetime Views of the Racecourse and the Sea, this will be South Mumbai's most prestigious residential project." Piramal Racecourse Upcoming Project Mahalaxmi Mumbai home price floor plan amenities location plan master plan yes i am interested rera no p51900015854 maharashtra rera web piramal racecourse south mumbai price 3.40 cr onwards area 755 - 886 sq.ft configuration 2 3 bhk appartments possession new launch piramal racecourse piramal realty prl the real estate development arm of piramal group today announced the launch of piramal mahalaxmi its flagship project in south mumbai the development takes on the name of the locality mahalaxmi which is one of mumbai's most desirable and sought-after addresses the quintessential offering of this project is the coveted lifetime views of the 225 acre mahalaxmi racecourse uninterrupted views of the arabian sea on the horizon willingdon golf course and the expansive mumbai harbour with over 2 million square feet of development this project is set to be one of the largest premium residential developments in south mumbai piramal realty will invest inr 2600 crores in this marquee development piramal mahalaxmi is the perfect fusion of rich culture and a cosmopolitan heart through this development we intend to continue setting new benchmarks in the real estate industry much akin to world class metropolitan cities with the likes of new york's manhattan london or hong kong piramal mahalaxmi offers units that are designed based on market demand offering lifetime views of the racecourse and the sea this will be south mumbai's most prestigious residential project project highlights view of 225 acres mahalaxmi race course lifetime view of arebian sea biggest collaboration in south mumbai real estate 2 million sq ft residential project in south mumbai largest residential project in south mumbai unrestricted views price table type carpet area sq.ft agreement value 2 bhk 755 3.40 cr 3 bhk compact 886 5.25 cr 3 bhk large na 6.95 cr floor plan 2 bhk 3 bhk compact 3 bhk large payment plan payment stage na na amenities 24 7 security landscaped gardens gymnasium swimming pool children's play area club house indoor games golf course amphitheater basketball court cricket pitch tennis court location i am interested in piramal racecourse submit © 2018 piramal racecourse mumbai channel partner of piramal realty prestige park square godrej infinity prestige jindal city godrej life plus ats projects dosti west county omkar passcode omkar lawns beyond godrej projects godrej reflections lodha bigwin jogeshwari salarpuria sattva misty charms pre launch projects godrej active.